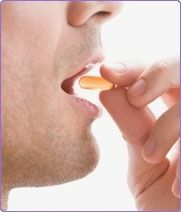 Is there a Testosterone Vitamin? Yes, there are actually two of them! If you're deficient in either one, you're going to take a hit in the testosterone department! 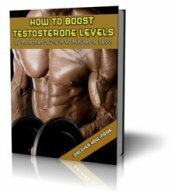 Vitamin A testosterone and Libido ! 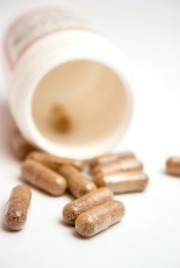 Do you have adequate vitamin A levels in your system? If you're living on a diet of packaged foods and processed carbs, probably not. Junk carbs and packaged foods have almost no vitamin A, unless a useless synthetic version was added in after the fact by the manufacturer. Do not depend on plant sources for vitamin A. Your body has to convert the carotene's in plants into bio-available A that your body can use. Recent research suggests that humans are not very good at this conversion. Keep in mind, vitamin A is necessary for the utilization of protein and the production of testosterone. 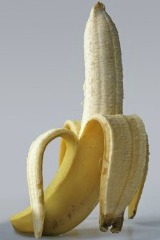 The more vitamin A you have in your testicles, the more testosterone they will produce. Vitamin A also reduces the production of estrogen by your testicles. In 1939, Dr. Abraham Myerson measured initial levels of circulating testosterone in men and exposed their various body parts to UVB light. After five days of chest exposure sufficient to cause reddening, circulating testosterone increased by 120%. After eight days without additional UV exposure, testosterone returned to initial levels. When the genital area was exposed, testosterone levels increased by 200%! I've noticed a boost in mood, and sexdrive after sun exposure that I'm sure comes from elevated testosterone levels. The bottom line is, the sun makes you feel, and look good, so get more of it. It is now known that our irrational fear of the sun, and overuse of sunblocks are causing many health problems. Substantial epidemiological data indicate a link between low vitamin D levels and an increased risk of a number of cancers. Prostate cancer effects many more black men compared with white. Because people with dark skin make less vitamin D than those with light skin. In sun starved northern countries prostate cancer rates are substantially higher compared to countries with higher levels of sunshine. The easiest way to get adequate levels of vitamin A and D into your diet is to take a high quality Cod Liver Oil supplement. I take 2 grams of this fish oil every night.